When you’re renovating your home, it’s understandable that you want everything done in a quick, clean fashion. Whether your gutters or your roofing system, you’ll want to get everything done on time so your life can go back to normal. But, sometimes, some contractors have a hard time doing so due to unforeseen circumstances. What if we told you there’s one company that offers a process that can make things speedier for you while sticking to the idea you want? In this article, Pritchett Bros talks about our design/build process, which will show you why we’re the ideal choice for your home remodeling project. Our design/build process is efficient and time saving. We start the project’s construction phase while the designs are still being completed. Our design team works hand-in-hand with our construction crew to finalize the blueprints while the materials and preliminary work are being finalized, whether it’s your siding that needs fixing, or you need a kitchen remodeling. 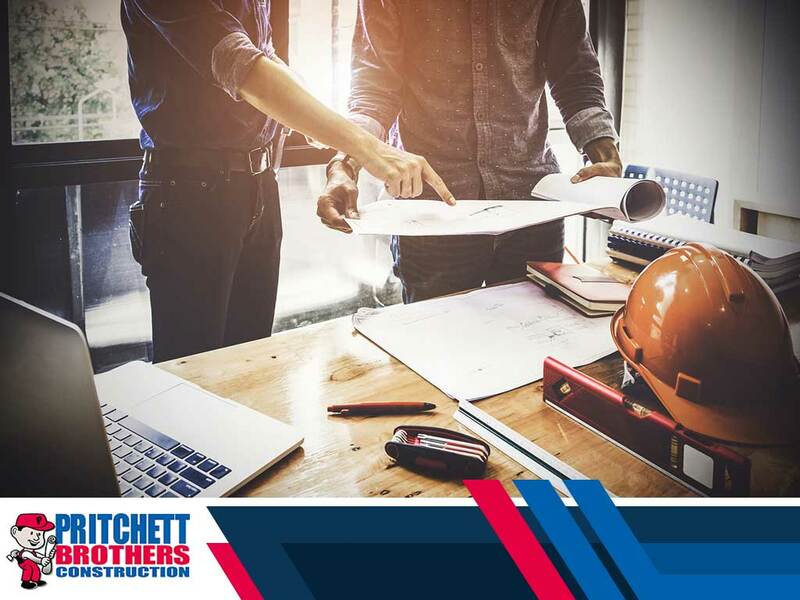 With Pritchett Bros design/build process, we can conduct better budgeting, thanks to guaranteed construction costs, which we can know earlier compared to other building systems. You’re also guaranteed to get professional designs for your home as early as possible as well since we forego rough sketches. Instead, we get right to it and have it approved and stamped by an engineer. It will even include everything you’ll need in a room, such as electrical, plumbing and structural detail, among other things. With Pritchett Bros design/build process, you’re not only guaranteed to get your money’s worth, but also have your home looking good as new in record time thanks to our professional crew. If you need a pro to help you with your home remodeling, turn to Pritchett Bros for your home improvement needs. We are your leading provider of roofing and remodeling services. Give us a call at (812) 213-8665, or fill out our contact form if you want to learn more about our services and get a free roof inspection. We serve clients in Bloomington, IN, and other nearby areas.